You're a people pleaser by day and an overthinker by night. The negative voice in your head is the meanest mean girl you know. You feel broken and believe you must hide that brokenness to be loved. You're tired. Like fall-down-after-running-a-marathon tired. The mask you're wearing. The one you hide behind when you say everything is "just fine" when it's not. Your unrealistic expectations. The goal-setting tactics you're deploying to get ahead could be what's holding you back. The difference between struggling and suffering. Being a mother is a struggle - it always has been - but your suffering is optional. Brave, supportive, and insightful, the stories and advice in this book will encourage you to live more confidently, enjoy the present, and become your best self - as a woman, a mother, and beyond. 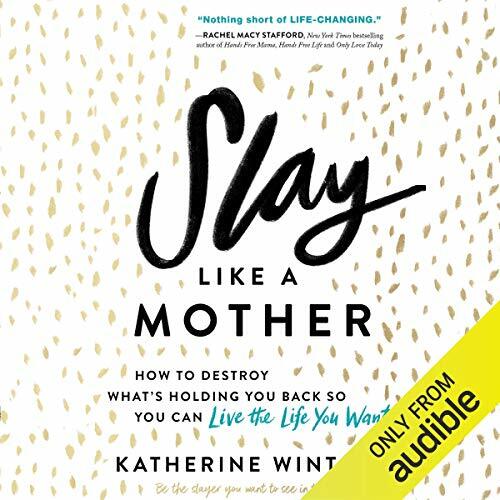 ©2019 Katherine Wintsch (P)2019 Audible, Inc.
Katherine Wintsch has tapped into an idea that by identifying the ways you yourself are holding you back, you can slay these dragons and become whole. By taking thoughtful care of yourself, you can be a better mother/wife/sister/employee/whatever. The wisdom in this book speaks directly to women and mothers, but honestly applies to everyone. I found this book incredibly enjoyable and helpful and I’m looking forward more from Katherine Wintsch!